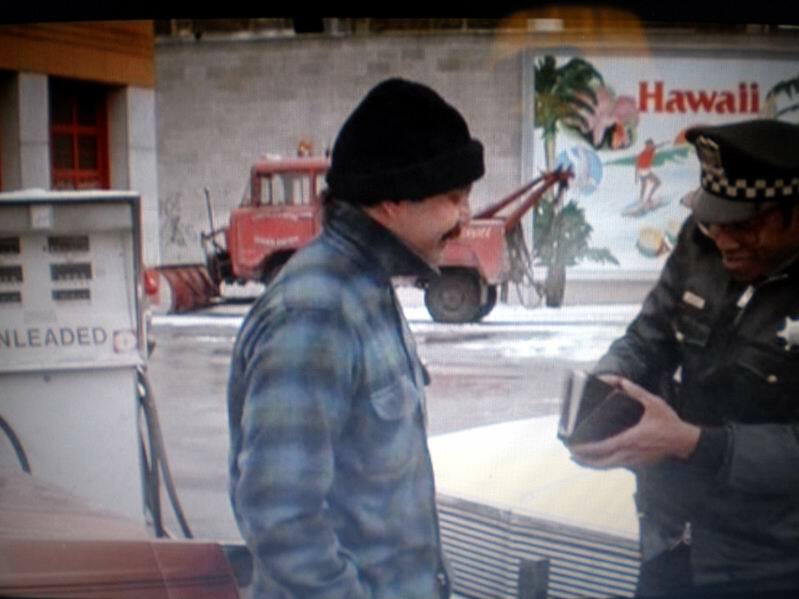 Ernie Cable snapped these from the 1982 Cheech & Chong comedy, "Things are Tough All Over." Ernie said this scene took place about 30 minutes into the movie. The two are selling off parts to the car that they are supposed to be delivering to the West Coast for some gas money. Of course the car was loaded with illegal money and I suppose some other contraband from a pair of Middle East mobsters. (Also played by Cheech & Chong) The two loose the money and become targets themselves. No information on the FC but thanks for the shots Ernie.